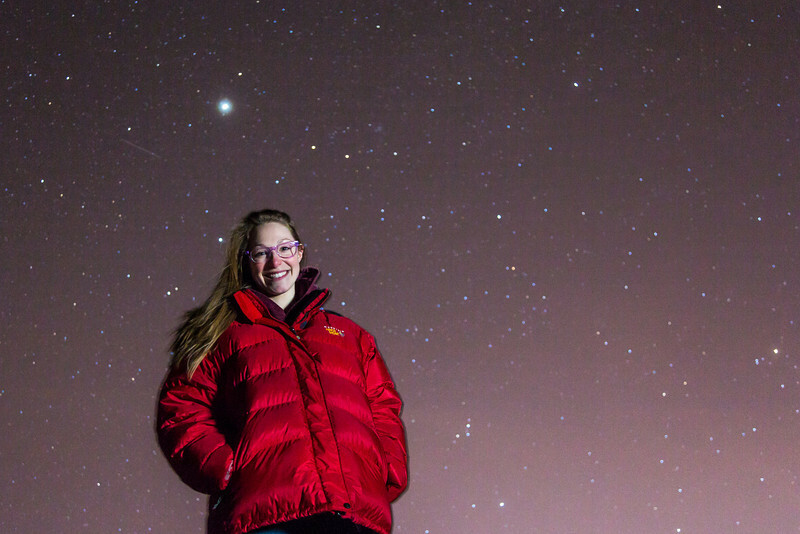 Senior geology major Jessica Eicher stands under a starry sky on a mile February night near the Fairbanks campus. Eicher is one of 1,058 finalists from among more than 200,000 people who applied to join the Mars One mission. Mars One, a nonprofit based in The Netherlands, wants to begin sending groups of four individuals on one-way trips to the Red Planet starting in 2025. "Once on Mars there are no means to return to Earth. Mars is home," the group's website explains.